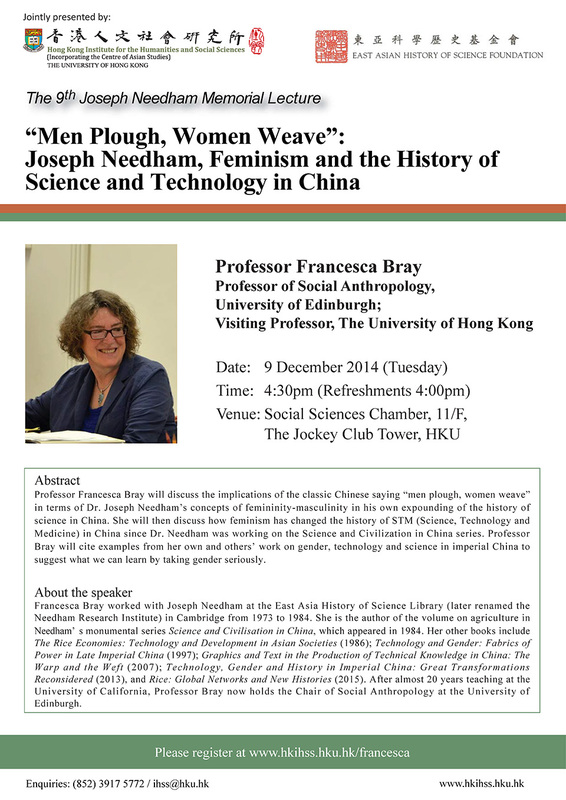 Professor Francesca Bray will discuss the implications of the classic Chinese saying “men plough, women weave” in terms of Dr. Joseph Needham’s concepts of femininity-masculinity in his own expounding of the history of science in China. 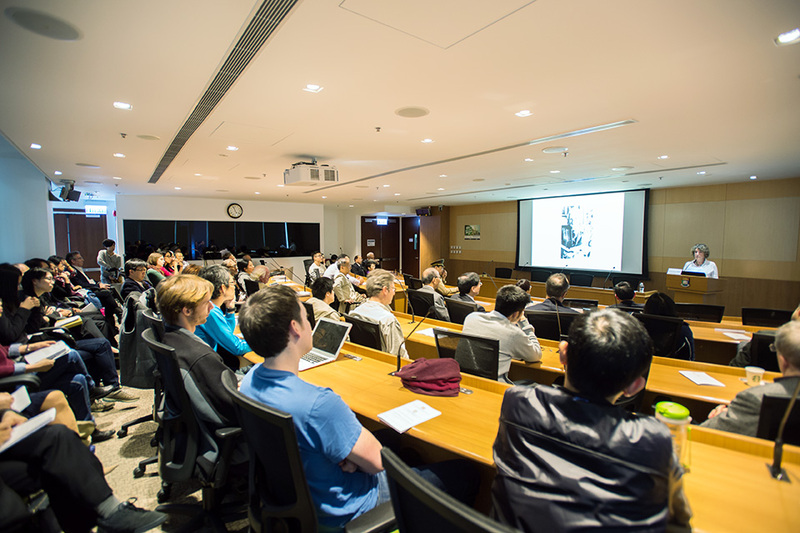 She will then discuss how feminism has changed the history of STM (Science, Technology and Medicine) in China since Dr. Needham was working on the Science and Civilization in China series . 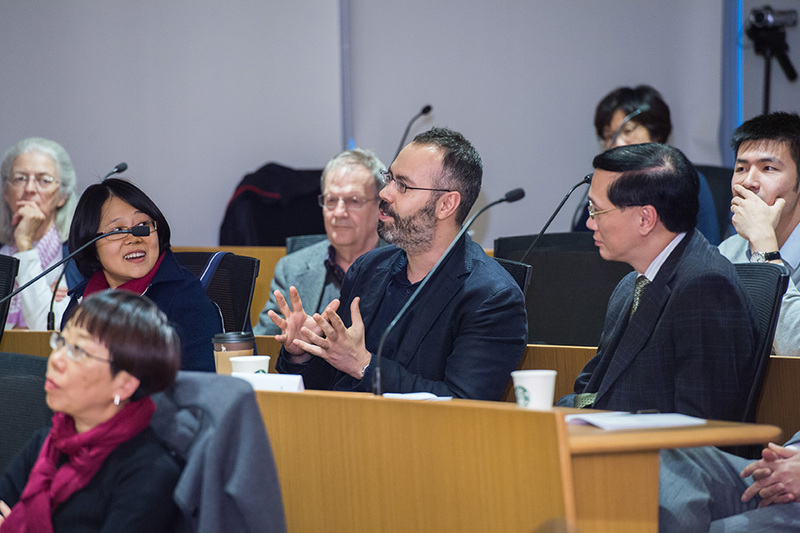 Professor Bray will cite examples from her own and others’ work on gender, technology and science in imperial China to suggest what we can learn by taking gender seriously. 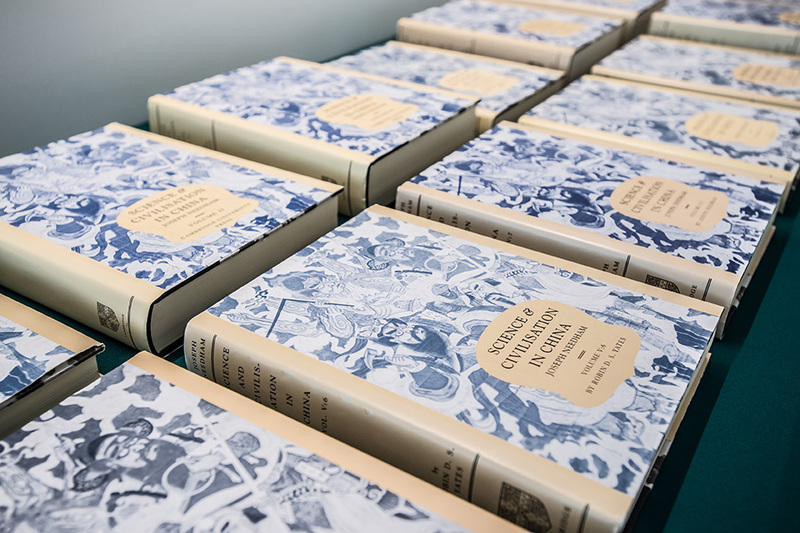 Professor Francesca Bray will discuss the implications of the classic Chinese saying “men plough, women weave” in terms of Dr. Joseph Needham’s concepts of femininity-masculinity in his own expounding of the history of science in China. 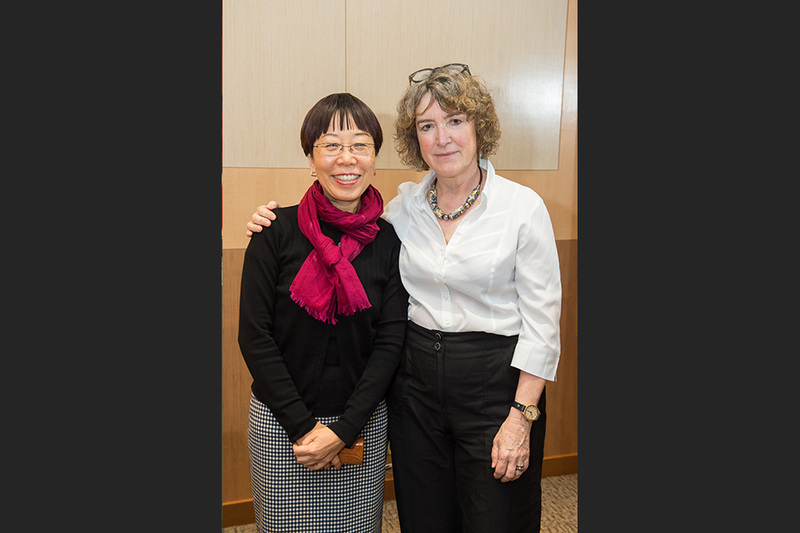 She will then discuss how feminism has changed the history of STM (Science, Technology and Medicine) in China since Dr. Needham was working on the Science and Civilization in China series. 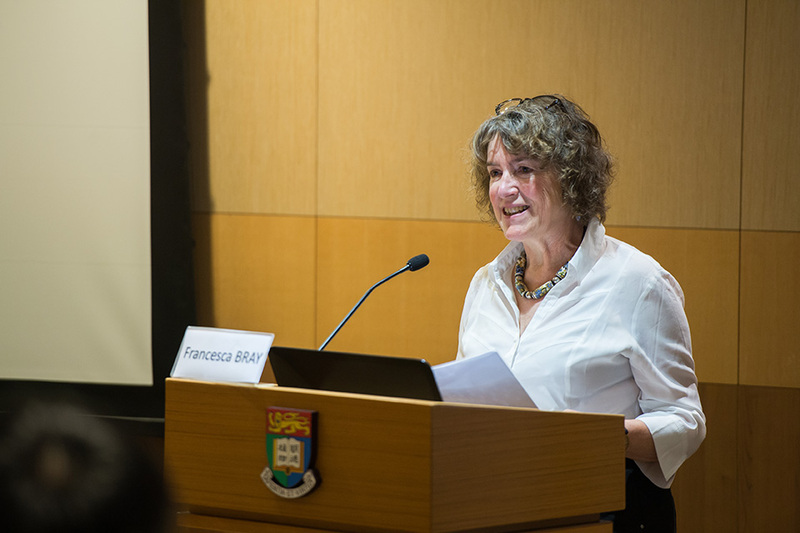 Professor Bray will cite examples from her own and others’ work on gender, technology and science in imperial China to suggest what we can learn by taking gender seriously. 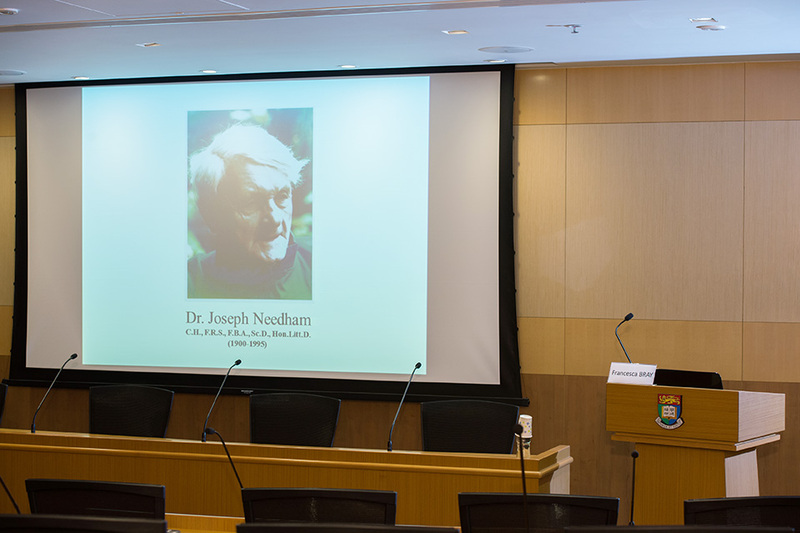 Francesca Bray worked with Joseph Needham at the East Asia History of Science Library (later renamed the Needham Research Institute) in Cambridge from 1973 to 1984. 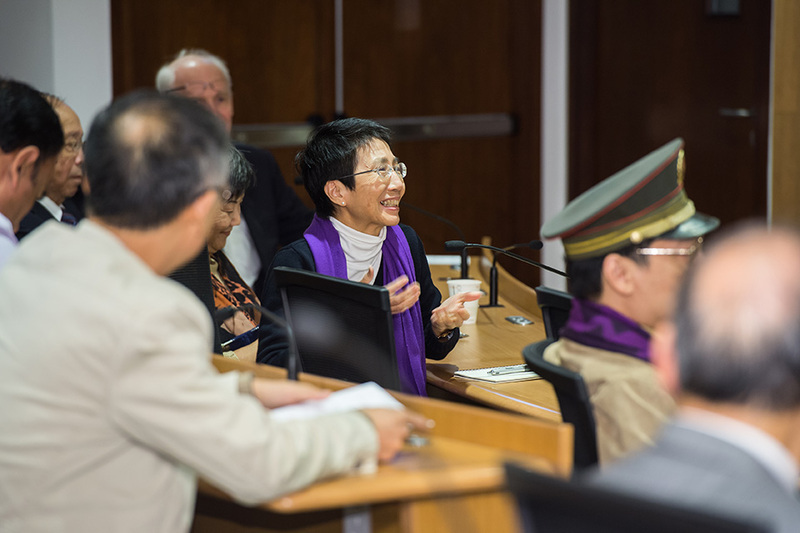 She is the author of the volume on agriculture in Needham’s monumental series Science and Civilisation in China, which appeared in 1984. 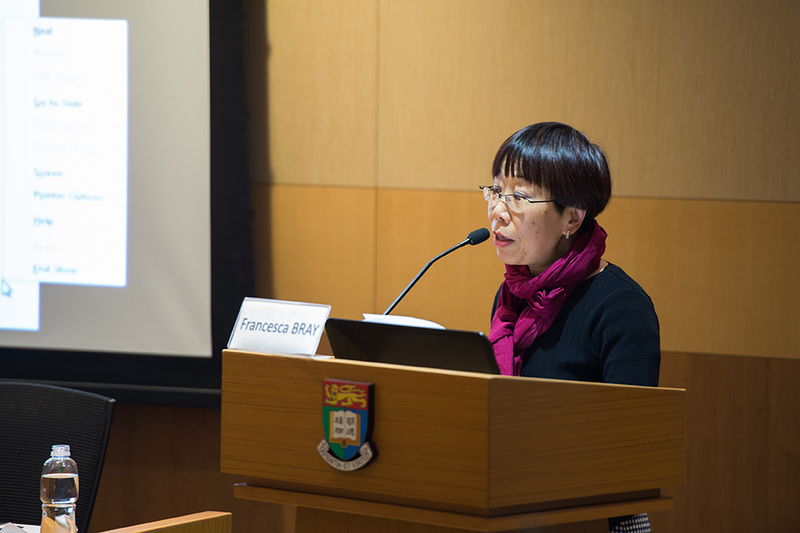 Her other books include The Rice Economies: Technology and Development in Asian Societies (1986); Technology and Gender: Fabrics of Power in Late Imperial China (1997); Graphics and Text in the Production of Technical Knowledge in China: The Warp and the Weft (2007); Technology, Gender and History in Imperial China: Great Transformations Reconsidered (2013), and Rice: Global Networks and New Histories (2015). After almost 20 years teaching at the University of California, Professor Bray now holds the Chair of Social Anthropology at the University of Edinburgh.